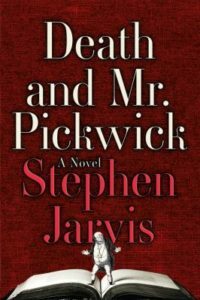 Some reviewers were suffocated by Stephen Jarvis’ 800+ novel aiming to show it was the illustrator, Richard Seymour, not Dickens who had the original ideas for The Posthumous Papers of the Pickwick Club. Although I had to renew the book, I enjoyed following Mr. Indelicate and Inscriptino (Scripty), the present day investigators, as they searched 19th century evidence for Mr. Pickwick’s origins. Death and Mr. Pickwick provides many amusing stories and interesting facts about 19th century publishing. I was amazed at the reported great popularity of The Pickwick Papers as originally published in serial form and then as a novel. As I followed the investigation to the very end, I continued to hope Mr. Dickens and the publishers would show more kindness towards Seymour. After all, Mr. Dickens was no stranger to generosity as seen in his later works e.g. A Christmas Carol and A Tale of Two Cities. Check out reviews in The New York Times and The Atlantic. Many thanks for reviewing my novel. People might be interested in checking out the novel’s facebook page http://www.facebook.com/deathandmrpickwick, where there is a real sense of a ‘fan community’ forming. There have now been, literally, HUNDREDS of posts about the book – and I am collecting all these into an e-flipbook, which is much easier to access than facebook. There are now TWELVE VOLUMES of the flipbook online! To access the volumes, simply go to http://www.deathandmrpickwick.com and click on the ‘further reading’ tab.